As you may or may not know, Metallica performed all last week on Craig Ferguson’s The Late Late Show. The band performed different songs each night, in promotion of their Some Kind Of Monster 10th anniversary re-release, which is out on Blu-ray this Tuesday. 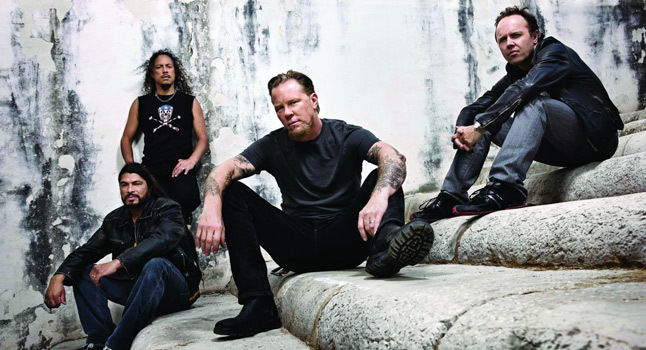 Billboard has compiled some video of the week-long residence, including footage of “For Whom The Bell Tolls,” “Hit The Lights,” and “Fuel.” It’s kind of strange that Some Kind Of Monster is already ten years old and “Fuel,” which is often referred to as a part of the “New Metallica” era, is almost eighteen years old, but that comes along with a band as legendary in scope as Metallica. You can watch all of the performances below.